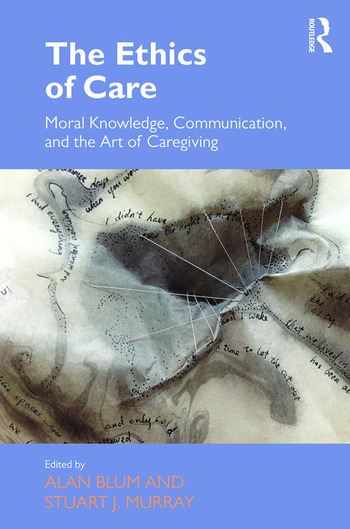 Beginning with a focus on the ethical foundations of caregiving in health and expanding towards problems of ethics and justice implicated in a range of issues, this book develops and expands the notion of care itself and its connection to practice. Organised around the themes of culture as a restraint on caregiving in different social contexts and situations, innovative methods in healthcare, and the way in which culture works to position care as part of a rhetorical approach to dependency, responsibility, and justice, The Ethics of Care presents case studies examining institutional responses to end-of-life issues, the notion of informed consent, biomedicine, indigenous rights and postcolonialism in care and theoretical approaches to the concept of care. Offering discussions from a variety of disciplinary approaches, including sociology, communication, and social theory, as well as hermeneutics, phenomenology, and deconstruction, this book will appeal to scholars across the social sciences with interests in healthcare, medicine, justice and the question of how we think about care as a notion and social form, and how this is related to practice. Alan Blum is Executive Director of the Culture of Cities Centre and Senior Professor of Sociology and Communication and Culture at York University, Canada. He is the author of The Grey Zone in Health and Illness, Theorizing and The Imaginative Structure of the City, and co-author of On the Beginning of Social Inquiry and Self-Reflection in the Arts and Sciences. Stuart J. Murray is Associate Professor and Canada Research Chair in Rhetoric & Ethics in the Department of English Language & Literature and the Department of Health Sciences at Carleton University, Canada. He is co-editor of Critical Interventions in the Ethics of Healthcare: Challenging the Principle of Autonomy in Bioethics.